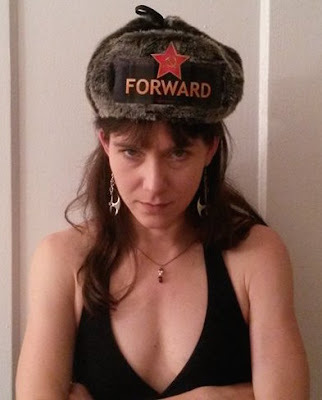 Author Ann Sterzinger is our latest Ushanka Babe, as she models Glorious Hat with the FORWARD placard. As you can see, it is nearly November in her Utopian home town of Chicago, and the hat is all one needs to stay warm! 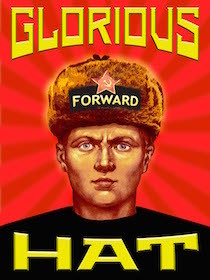 Ann is co-host to Comrade and fellow author, Matt Forney, on his podcast (iTunes). They are an entertaining duo covering current events and trends, including cultural marxism.